...and they hid them under a genteelly respectable veneer. No onlooker would guess that prim Vera Hillyard and her beautiful, adored younger sister, Eden, were locked in a dark and bitter combat over one of those secrets. England in the '50s was not kind to women who erred, so they had to use every means necessary to keep the truth hidden behind closed doors - even murder. ©1986 Kingsmarkham Enterprises Ltd (P)2014 Audible, Inc. 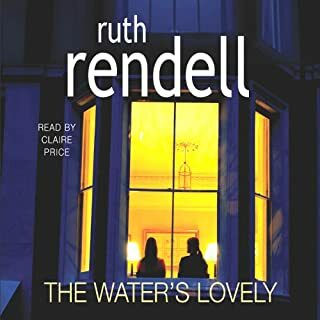 The author’s forte is in her depiction of human relationships whether writing detective fiction as Ruth Rendell or in her more psychological novels as Barbara Vine. This book is not a detective story and from the beginning we know that Vera has killed her sister Eden. The whole book is a detailed unravelling of why this occurred through the voice of Faith: the niece of the victim and perpetrator. Most of the characters are flawed and not particularly likeable but the narrative is utterly compelling and I was drawn into a hot-house of emotions among family members and their their dysfunctional relationships. 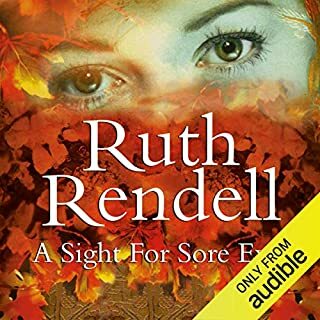 This is justifiably rated as one of the author’s best books and made a great listen. Harriet Walter is an accomplished narrator and skilfully portrayed both young and old, male and female. A brilliant, dark, thought-provoking story with some of the most well-realised and complex characters I’ve ever come across. Whatever ‘crime’ novels or ‘detective fiction’ or ‘thrillers’ are usually supposed to be, for me this utterly transcended those genres. As the narrator comments, we know from the start who the killer is and how the murder was done. 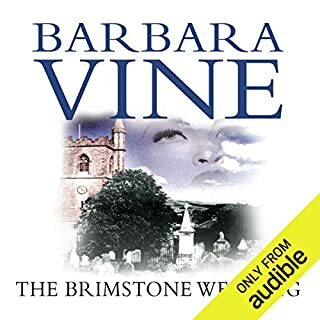 Instead of focussing on that, Barbara Vine (Ruth Rendell) unfolds the psychology of the Hillyard family with a perceptiveness that sometimes takes your breath away. It made me think that other books I’ve read with supposedly ‘deep’ or ‘complex’ characters are quite flat and obvious by comparison. There are lots of twists in the plot, but they never felt like contrivances or clever tricks. 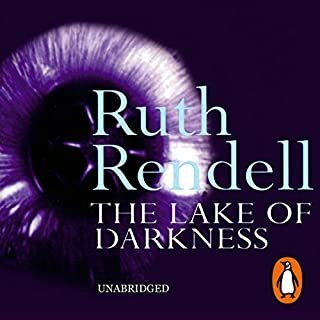 They come about as Faith, the character who narrates the story, grows gradually wiser and more perceptive about the secretive ways of her two aunts – as her ‘eye’ adapts to understand their dark behaviour, to paraphrase the title. Harriet Walter was an excellent reader, appropriately understated in her delivery but giving distinctive, memorable voices to the characters, many of whom are painfully repressed and reserved. 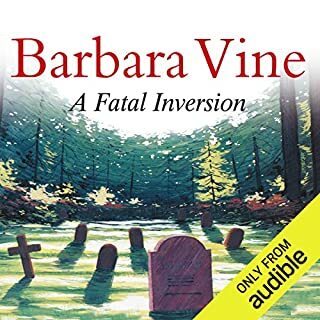 This is the first Barbara Vine/Ruth Rendell I’ve read or listened to, and I’ll certainly read more now. If you could sum up A Dark-Adapted Eye in three words, what would they be? 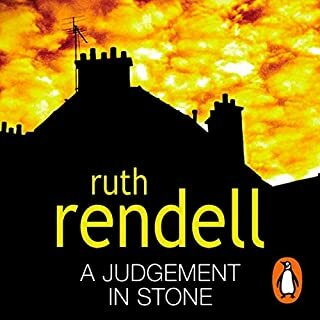 This book is often rated as Ruth Rendell's best, and I agree. 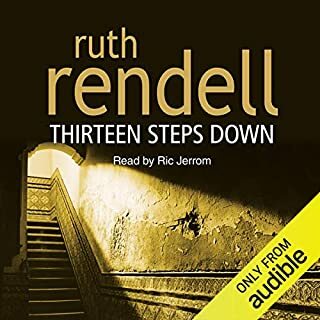 It's so much more than a crime novel; and Ruth Rendell is so much more than a crime writer. It's not for nothing Jeanette Winterson calls her mother. 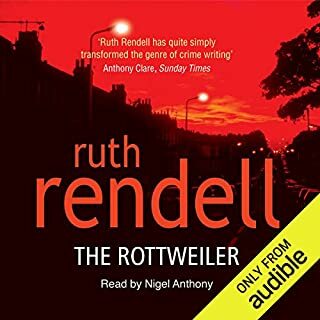 Having read the preview, I did hesitate, as I wondered whether it would be too unsettling at night going to sleep listening to the 'voice' of a victim/ criminal without Inspector Wexford as a sane, down-to-earth intermediary, but it wasn't the case at all. 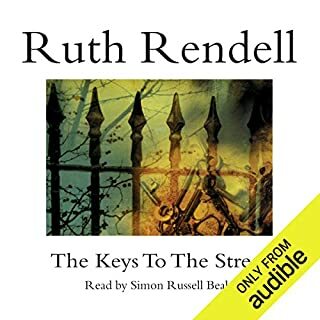 The narrator of the story is an ingenue, and it was performed wonderfully by Harriet Walter. This densely plotted tale shows how family jealousies, snobbish attitudes and social taboos create a toxic brew. murder becomes the plausible, almost banal outcome. Beautifullly written and sensitively natrated. Harriet Walter reads beautifully. Look forward to another one. As always Vine never disappoints. I have been reading her books for years. So disappointed. Normally enjoy her work. I kept waiting for the plot to lift off but it never did. Found I didn’t care about the characters. And found the “twist” obvious and also just frustrating. Wasn’t for me. The performance is perfect , the voice being exactly how one would expect the narrators voice to be . Highly recommended . Well deserving of all five stars . Totally absorbed from start to finish. A sinister, slowly unfoulding tale of family love and hate. Every character perfectly described as well as wartime England and the mores of the middle class in that era. Tedious in the first few chapters where there were too many non essential characters. The book improved however with excellent characterisation of the main protagonists. Quite gripping in the last third of the book. Not Vine's best. Extremely well read. It kept my interest and it had so many intricate twists and turns that it was tricky to keep all the characters and timelines in perspective. However, the main thread was clearer and I really struggled to feel sorry for either of the snobbish sisters. This has long been one of my favorite books. I've read it many times and recommended it to many other people. 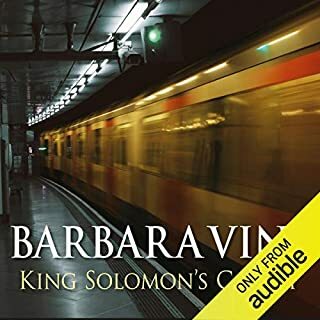 But it has been a few years since I last read it, and the narration, which I listened to while driving to and from NYC is wonderfully excellent. This book requires a lot of thought, and is a perfect match for the audio format. Having the extra time to really appreciate the subtleties, mysteries, and deep character development is the strength of this format. You'd miss much of this when only reading. The narrator is top knotch, nailing the nuances and exploring the maturation of the main character over time. I can't recommend this one enough. 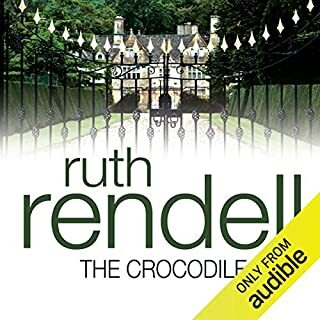 I bought this on the basis of audible reviews and was not disappointed. This is not an edge-of-your-seat mystery. It unfolds slowly and moves deeper and deeper into the characters, their histories and their motivations. 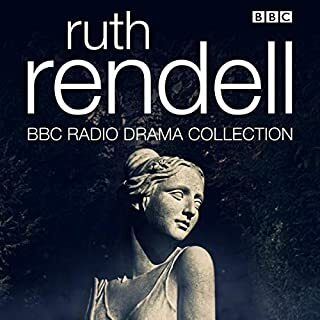 It is beautifully narrated by Harriet Walter. If you're looking for something to lose yourself in and spend some time with, I recommend it. And shocking revelations! Really, what more could you want? 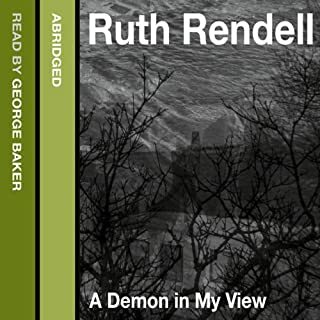 This book was fantastic, the story twisty and gripping, and the narration lively. Absolutely recommended! Story is drawn out and the mystery or twist is easy to surmise. Overly detailed at times, especially when describing clothes or interior design elements. If Jane Austen had written a politely "shocking" novel, it would be this one. However, it is well read and performed. The performance was the only thing that kept me listening. 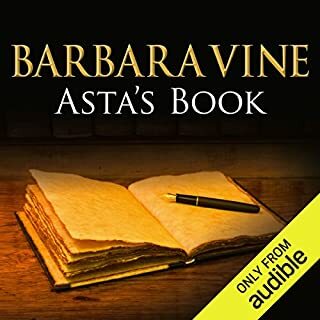 I wasn't sure about this story for the first couple of chapters but any book narrated by Harriet Walter's is worth a listen so I carried on and I'm so glad I did. 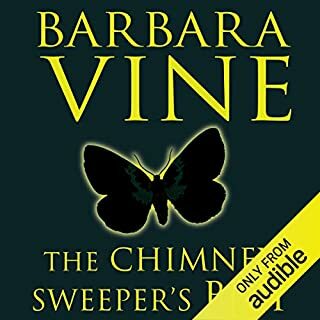 This mystery is so cleverly written and the characters are brought to life so perfectly by the narrator. 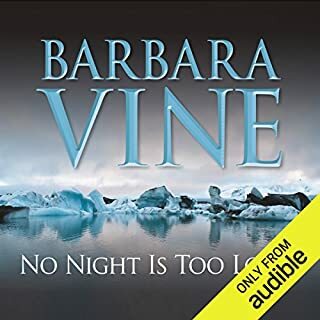 This is my first Barbara Vine novel but it certainly won't be my last. A few mispronounced words in the performance, but otherwise a nice job at giving each character a voice that fit. The story had a lot of interesting characters, but did very little with them in either growth, or action. I like the language very much. This is more an interesting and complicated look at the psychological workings of a family divided than it is a mystery.......though there are and remain several mysterious parts to the whole. 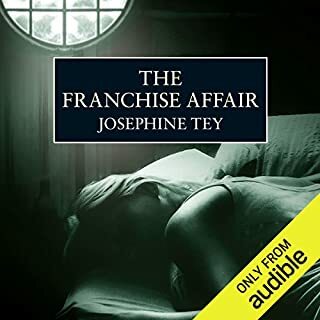 It takes a while to get into the story, but as it continually unrolls it is more and more intriguing, drawing the listener deeper and deeper into the family machinations. 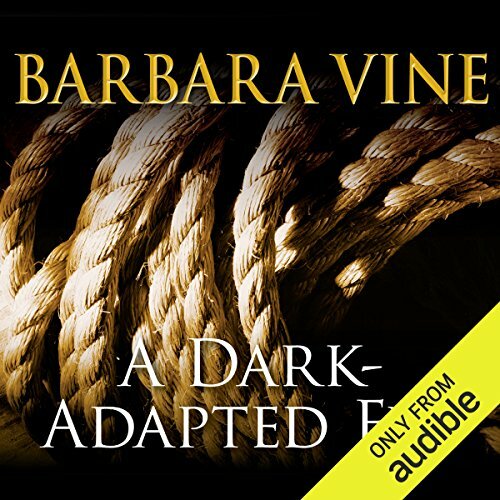 The continuing family revelations experienced by the protagonist make sense of the title....A "Dark Adapted Eye" can see things that were formerly hidden in the darkness. I enjoyed it and the narrator was great. I was surprised that the plot did not go in the direction I had anticipated. It seemed to give so many a hints of crimes to be uncovered that the ending was a bit of a let down for me. One of my favorite novels of all time. 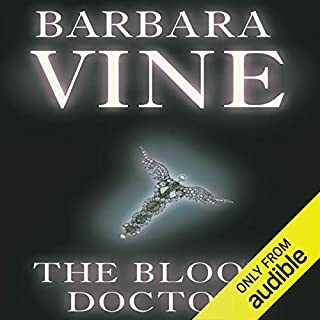 The writing is superb and the chosen narrator is as well. Chills and shivers are no better delivered by situations such as those that can be imagined as real, that are in a sense no more than everyday tragedies. The author also imparts a wonderful sense of time and place. Just read it! This novel started out slow, but stick with it - you will be glad you did. The pace isn't fast, but you'll be deeply drawn into the story of a dysfunctional English family during the Second World War and their very unique history, relationships and secrets. A highly satisfying case study of human psychology and what motivates us all.